While I was trying to decide on a topic for my next article Turner Classic Movies announced this Fox rarity for their 2016 Classic Film Festival (April 28-May 1). Seemed like a good fit for me too! I won’t be on hand for TCM’s Film Festival (#TCMFF), but I recommend you make time for 6 Hours to Live if you’re going to be in attendance. Above: Six Hours to Live advertisement clipped from the Ogden Standard Examiner, October 18, 1932. A stuffy aristocratic romance interrupts a lively bit of world political intrigue before 6 Hours to Live turns into Frankenstein minus most of the make-up or other visual frights, but instead featuring an intelligent reanimated corpse whose unique experience moves him to choose God over science. For science-fiction fans there’s a ray—a “precious ray … more potent than all of the radium in existence”—that snaps, crackles, and glows as jagged bolts of electricity envelop a once lifeless body. There is a big catch with this Frankenstein act though: it’s not permanent. Once you’re brought back you’ve only got, you guessed it, six hours to live. 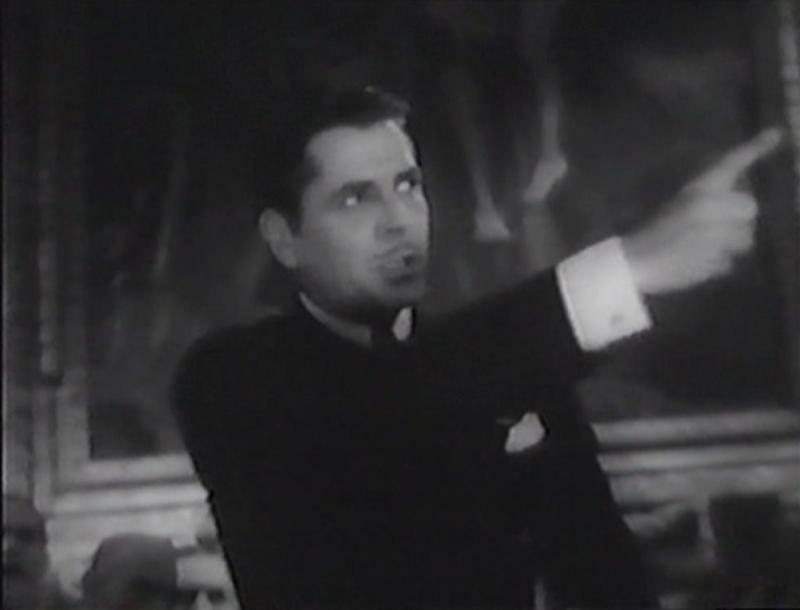 Captain Paul Onslow (Warner Baxter) of fictional Sylvaria stands defiant as the lone holdout among a group of world diplomats otherwise in unanimous agreement over a treaty that “will revolutionize world commerce.” The principled Onslow insists the proposed policy is wrong: not only would it “wipe my country off the map,” he says, but it is wholly inspired by greed and selfishness and is misunderstood by protesters outside. Other world representatives glare at Onslow as he tears into them and their trade policy. It’s one man against the world and that places the one man in immediate danger. 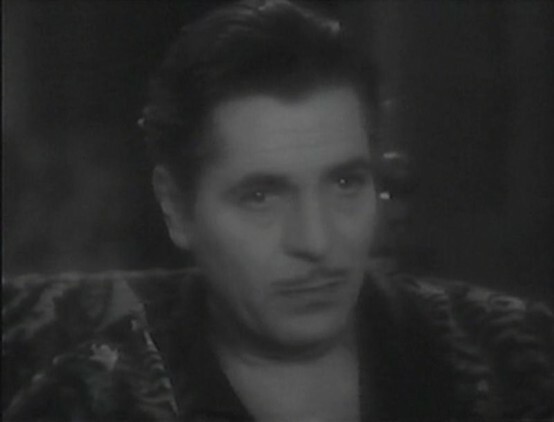 Above: Warner Baxter as Captain Paul Onslow. It’s the final day of the International Trade Conference which has been declared a failure by its chairman because of Onslow’s refusal to comply with the other member nations. The diplomats break with plans to reconvene at eleven o’clock that evening for one final vote. The outcome is preordained, that is, unless Captain Onslow can be kept from the meeting. There’s a backup representative from Sylvaria just itching to throw in with the other countries and Onslow has received piles of death threats—he even shreds one while speaking on the assembly floor to prove his resolve. His peers murmur ominously about the chances of the defiant Onslow being able to return and cast his lone nay vote later that evening. The crowd buzzes as Onslow exits the meeting. “If you cause this conference to fail it means another war,” an old lady (Beryl Mercer) at the edge of the crowd scolds. “War killed my son,” she adds. 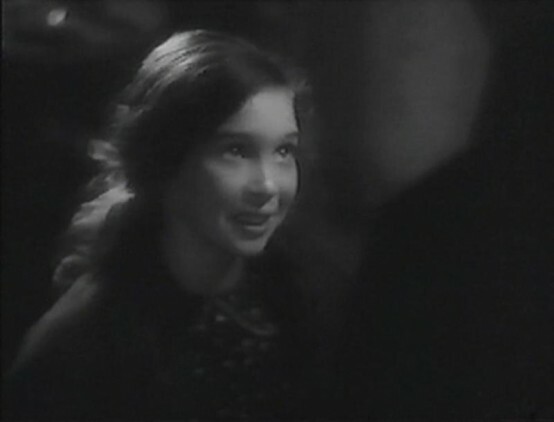 Onslow bumps into a prostitute (Irene Ware), who eyes him hungrily while he takes time to exchange pleasantries with a small girl selling flowers (Rosita Butler). Onslow isn’t carrying any money, but the little girl presses some posies on him with the understanding that he’ll pay tomorrow. He gives the flowers to the Baroness Valerie von Sturm (Miriam Jordan) who has come to meet him. The flower girl watches as Onslow joins Valerie in the car while a policeman hauls the prostitute away. Captain Onslow will encounter each of them—the old lady, the prostitute, and the flower girl—again later that evening. After he’s been murdered. Above: The flower girl in 6 Hours to Live isn't billed in the film or on the TCM/AFI site, but the IMDb lists her as Marilyn Harris. It's actually Rosita Butler. 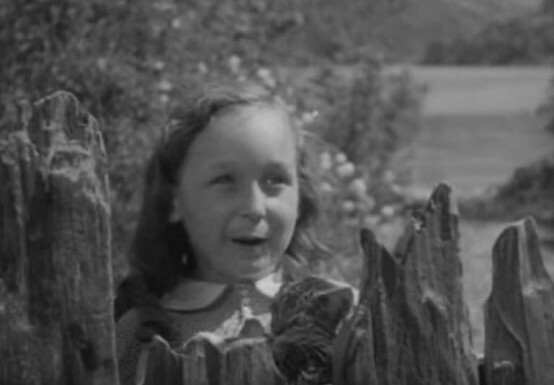 Above: For comparison's sake, here's Marilyn Harris in Frankenstein (1931) about a year before. Different girl than the one above. 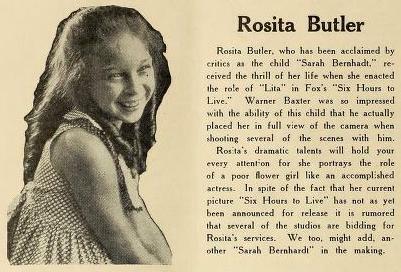 Above: This clipping from Hollywood Filmograph, October 1, 1932, identifies Rosita Butler as the flower girl in 6 Hours to Live. Captain Onslow is staying with Valerie and her father the Baron (Halliwell Hobbes), a scientist awaiting the arrival of his friend, Professor Otto Bauer (George Marion), for a society dinner party he is hosting that evening. 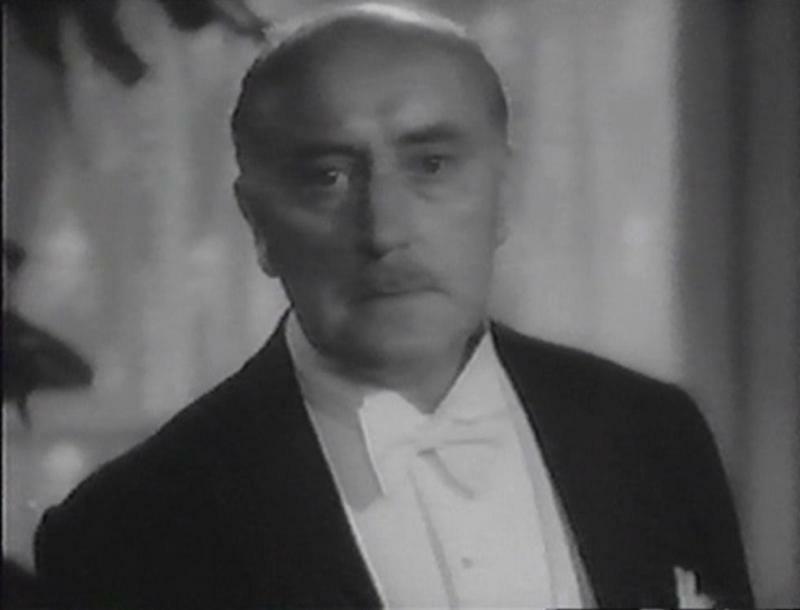 Onslow’s good friend Karl (John Boles) is in love with Valerie, thus linking the Sylvarian representative to the von Sturms and their household. 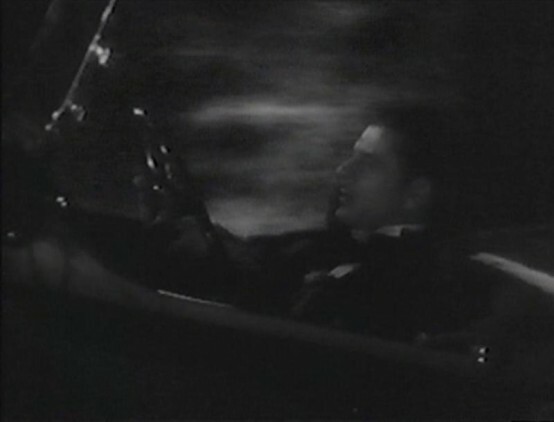 Onslow is unaware of Karl’s love for Val, so he has no qualms about taking her into his arms and calming her with a deep kiss after a would-be assassin’s bullet pierces the rear window of their car. Val’s affection for Karl has drifted due to the presence of Onslow, an electric personality with who she’s now fallen madly in love. 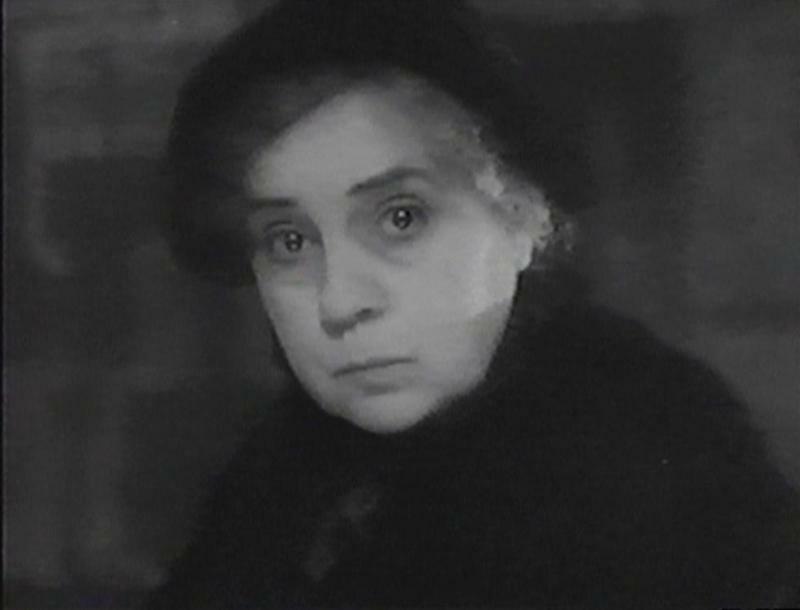 Karl warns her that Paul Onslow is only interested in his career, “there isn’t enough room left for love.” He’s judged his friend wrong however, and Onslow is prepared to resign from his post in service to his country to marry Val—after casting this final vote in defense of beloved Sylvaria. Above: Miriam Jordan as pictured in New Movie Magazine, May 1933. 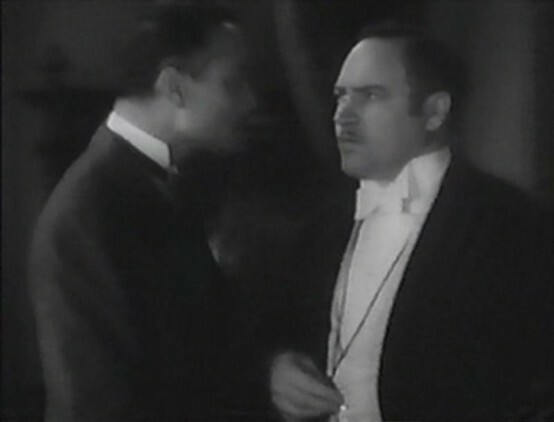 Professor Bauer arrives with a large cauldron that only his mute assistant Blucher (Dewey Robinson) is allowed to touch. While awaiting the arrival of the other dinner guests, the Baron and Val, independent of one another, place calls extending an invitation to the police commissioner (Edwin Maxwell) so he can be on hand to protect Onslow. The commissioner is playing billiards with the Baron and Professor when Onslow’s assistant Kellner (John Davidson) discovers the corpse of Captain Paul Onslow. Above: George Marion as Professor Otto Bauer. 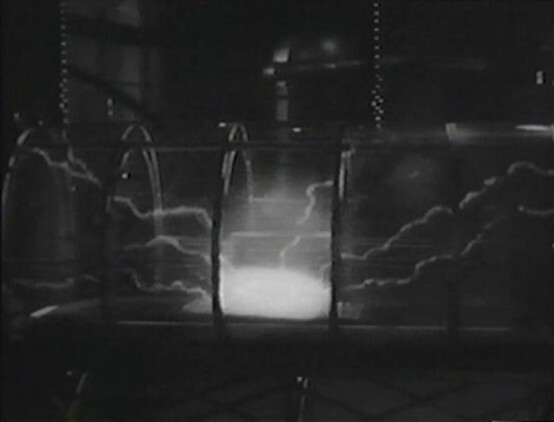 The other men are wary of the Professor’s claim, but he outfits them with protective goggles and demonstrates the abilities of his invention by zapping a dead rabbit back to life. 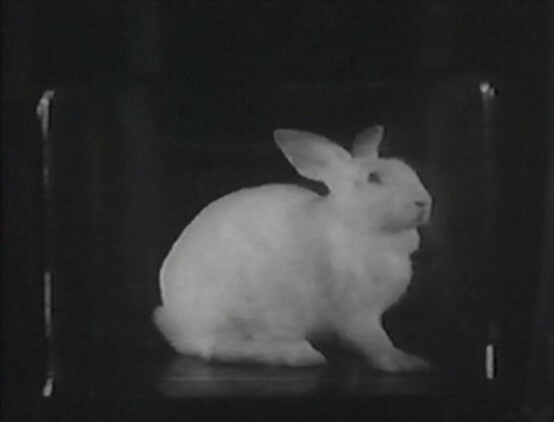 As amazing as this is, it’s hard not to be a little let down when the bunny hops across the floor and the Professor says, “Too bad it’s not permanent.” Based on past experience, six hours is all the reanimated rabbit will have before once again expiring, this time for good as the Professor can only bring the dead back one time. The police commissioner is as horrified as he is amazed. 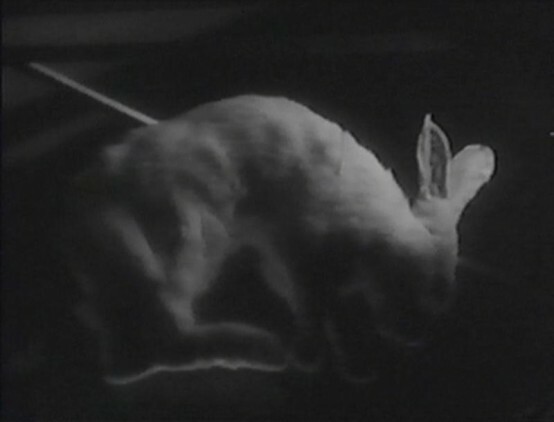 He protests using the Professor’s ray on the late Onslow, but Blucher has already absconded with Onslow’s corpse and inserted it into the Professor’s apparatus, a tube large enough for a man Onslow’s size with lot of fun electrical gadgets attached. The Professor throws the switch and the shocks of electricity buzz as they surround Onslow’s body. A cable snaps, but Blucher refuses to see his master denied and grabs both loose ends of wire in order to conduct the electricity through his own body (and he survives!). Captain Onslow opens his eyes. “He moves, Otto! He breathes,” the Baron declares. “He lives,” says the commissioner. He’s surprised, but his tone is sober. Upon being revived Baxter’s Captain Onslow reveals that he heard everything the others had said while he was dead. He even knows he only has six hours to live. Beyond simply hearing the conversations that surrounded his corpse, Onslow also achieved a level of all-seeing knowledge while he was dead: he informs the others that Karl will soon return—he left his house a half hour ago but was delayed by a traffic jam. Sure enough, Karl soon joins them, his explanation matching what Onslow had forecast. The movie treats Onslow’s power as fact: as something that comes to all of us after we die. 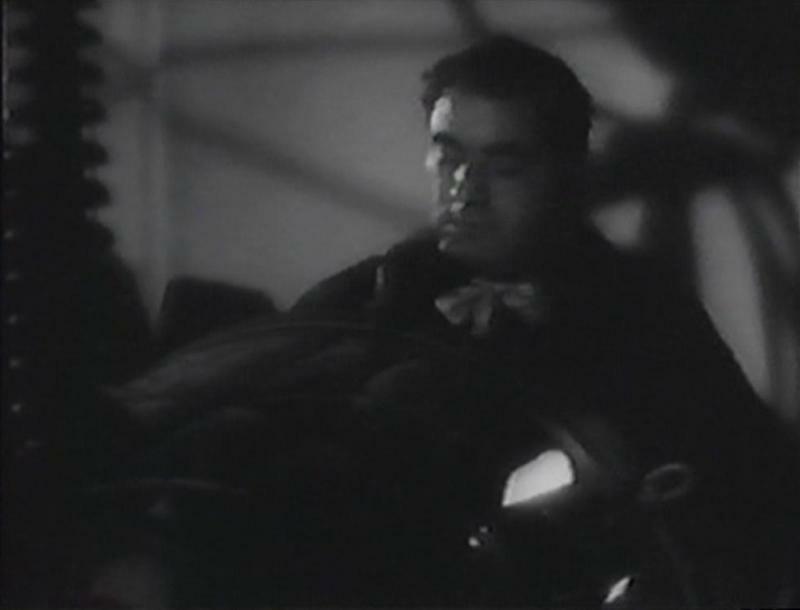 Unaware of what has happened to Onslow since leaving the von Sturms earlier that evening, Karl is now struck by what he refers to as Onslow’s very strange mood. Above: John Boles (left) and Warner Baxter. His servant Ivan (Edward McWade) slips a revolver into Onslow’s pocket as he dresses him. Onslow gently scolds him, surprised that the peace-loving man who’d earlier pressed a cross on his master would now present him with a gun. Onslow returns the weapon to Ivan, noting that he now has “a more persuasive weapon,” but he holds onto Ivan’s cross which is later discovered by Val. She’s surprised when she untucks it from Onslow’s vest: “I thought you didn’t believe in God or crosses,” she says. “Sometimes we learn,” Onslow replies. Dieterle’s Expressionist touches save 6 Hours to Live from dragging through too many humdrum romantic scenes with visually interesting episodes such as Onslow’s exhilarating race through the night and the science fiction novelty surrounding his electric resurrection. 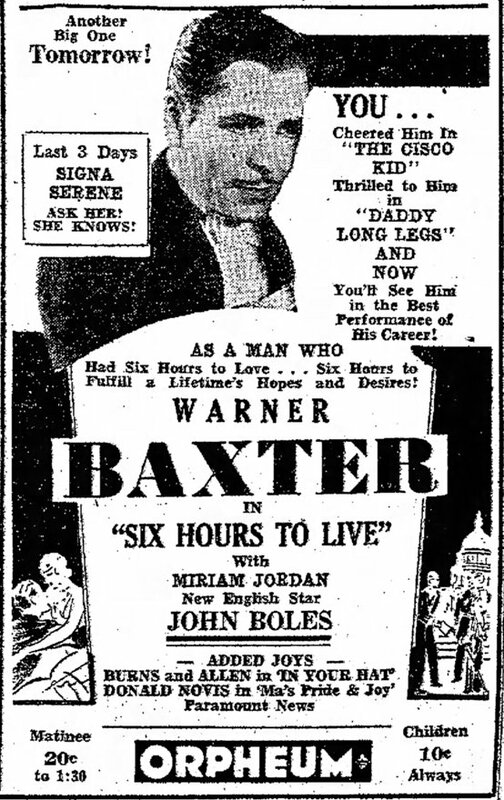 Warner Baxter is kind as the man in love and suave as the holdout politician, while statuesque screen newcomer Miriam Jordan stands out as something a little special in reacting to Baxter’s sacrificial jilting of her. John Boles is underused as the beau Jordan discards in favor of Baxter, though his is an interesting bit of casting considering the similar role he played earlier in Frankenstein. 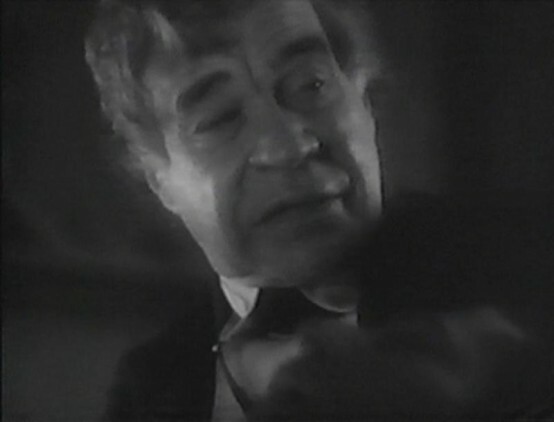 The rest of the cast is composed of familiar character actors with standouts including George Marion as the eccentric Professor Bauer, Irene Ware as the saucy prostitute, and Beryl Mercer as the accusing mother. Fun stuff from Dewey Robinson as the Professor’s mute assistant, basically this movie’s Igor. Above: Dewey Robinson and his eyebrows. 6 Hours to Live, based on the original story “Auf Wiedersehen” by Morton Barteaux and Gordon Morris (Chester’s brother), was well-reviewed upon its release. The moral minded Harrison’s Reports offered especially high praise, going so far as to say “the industry has not yet produced the equal of it.” Variety was more down-to-earth in its appraisal stating, “Looks like a fair money picture, likely to do between average and good biz.” Apparently it turned out to be a bit of a flop with the aforementioned Harrison’s Reports later mentioning 6 Hours to Live as “well produced but unsuccessful at the box office” in a June 1933 article. 6 Hours to Live is recommended for its visual treats, competent performances, and the sort of ambitious story that makes so many of the early talkies more interesting than first expected. (My IMDb rating: 7/10). 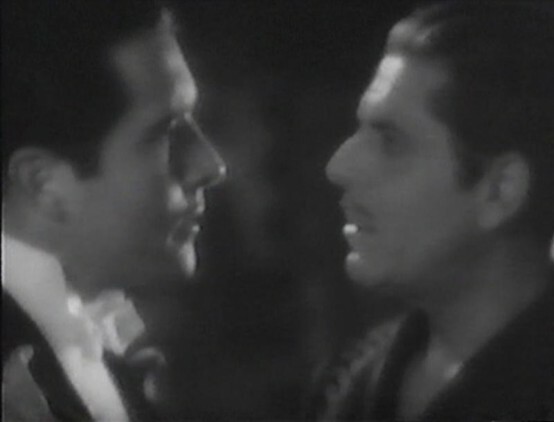 Above: Warner Baxter and Miriam Jordan. Once again, this title will be showing at the 2016 TCM Classic Film Festival. Another recommended pre-Code rarity playing at this year’s festival is Universal’s A House Divided (1931), which I’ve also covered. Click here to see the other movies TCM has selected for the 2016 festival. Above: John Davidson (left) and Edwin Maxwell. 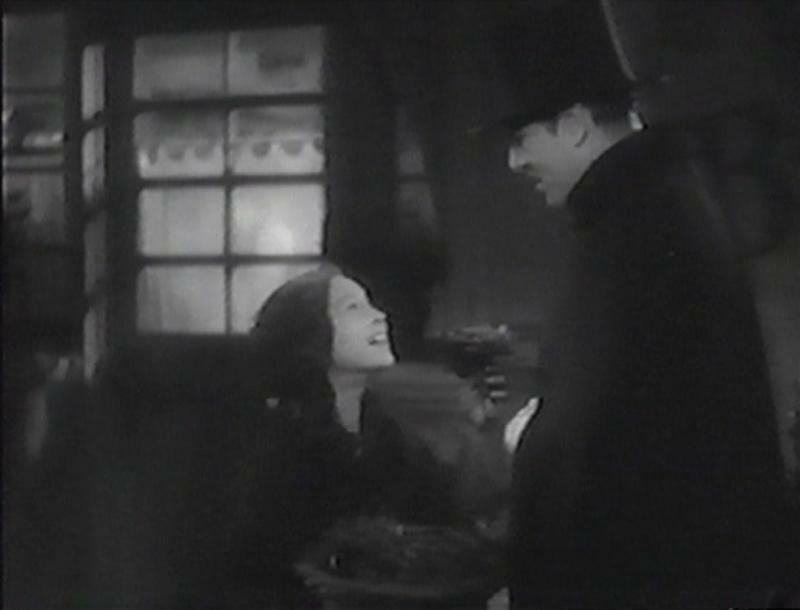 Above: Rosita Butler and Warner Baxter.